The applicants behind controversial plans for a 4,000-plot Muslim cemetery in Catherine-de-Barnes are applying for an extra 7,000 burial spaces. 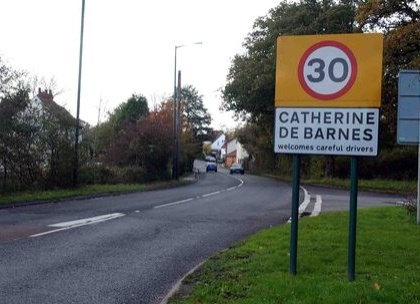 If both applications by Cemetery Development Services are approved next month, it could see two neighbouring cemeteries created in Catherine-de-Barnes with 11,000 burial plots in total. Local residents have objected strongly to the plans, raising concerns about the impact on traffic and greenbelt land. But the cemeteries have received backing from the Muslim community in Solihull, who said there was a desperate need for more burial spaces. Funeral director Mohammed Khalil, of Birmingham-based ZUQ Funeral Services, said even 11,000 burial plots would barely provide enough space for the next 50 years. “The local Muslim population is growing rapidly, but the cemetery Muslims use is mostly Handsworth which is nearly full,” he said. “Birmingham Council are making some provision but we still need more in the vicinity of the population. “Don’t forget, the people who came here in the 1950s and 1960s are now old and dying fast. “Before, they used to send people back home to their families in Pakistan and Bangladesh. But apparently now all their families are here and they have no-one back home. Under Islamic law, Muslims are traditionally buried in their own section of land, next to others of the same faith. But leader of Solihull Council, Councillor Bob Sleigh (Con, Bickenhill), said the needs of local people could be met at the borough’s current plots. “There is no need for this extra site in Solihull. We have identified our population need and made provision for that,” he added. “This is an extremely large proposal. Obviously people are concerned about the scale of the development and its threat to greenbelt land around Catherine-de-Barnes. The application for a 4,000-plot Muslim cemetery, with buildings and 80 parking spaces at Woodhouse Farm, had originally been submitted last January but withdrawn amid a storm of protest. However, in July the plans were resubmitted, and now a second application for an adjacent multi-faith cemetery with 7,000 plots and 90-space car park, has been received by Solihull Council. Both applications are due to go before the planning committee next month.